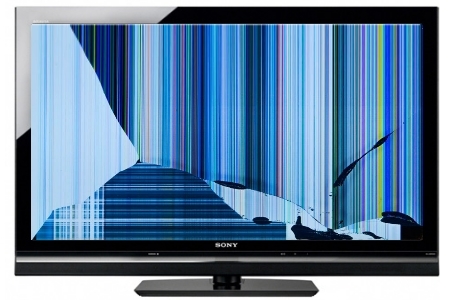 The sad truth is that we have never seen an LED TV Panel, Plasma TV Panel or an LCD TV Panel that is worth replacing. 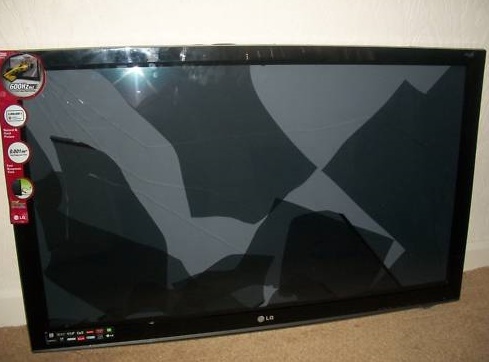 Often a new screen is priced the same or more than the TV's original cost. The only way it will be worth replacing is to find a used TV to salvage the screen from. Try looking on Craigslist or Ebay for a used TV with the same model number as yours. Its a bit of a gamble. We still have not had a successful try from a salvaged set. The sets have Mercury lamps that can do harm to our water supply. We take the electronics circuit boards to be used for parts on repairs when parts are No Longer Available. We take out the Mercury lamps and store them to be used later. Once we have a few sets we call "recyclers" (usually retired folk that live in our area) to come pick them up. They take out the metals and take them to the recycling center. The plastics go into the recycle bin. We do pay extra to have a recycle bin as a way to help the environment and our community. Bring the set in and we will make you a cash offer. Some sets are worth more than others. Typically we pay $0-$60 depending on the model. If you'd prefer, we can pick it up at no charge. However, we don't pay when we pick them up.